The Chicago Bulls brought the in-game experience to some families at the Ronald McDonald House during the fourth annual "Bulls Spectacular" party Tuesday night. 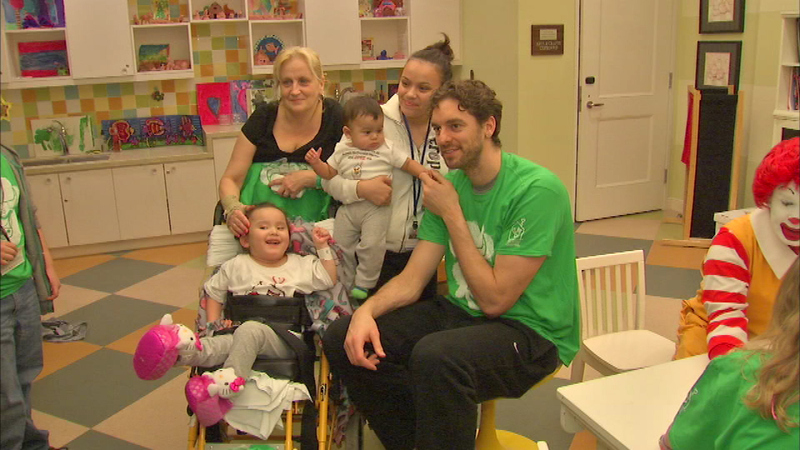 CHICAGO (WLS) -- The Chicago Bulls brought the in-game experience to some families at the Ronald McDonald House during the fourth annual "Bulls Spectacular" party Tuesday night. Several players, along with Benny the Bull, the Incredibulls and the Luvabulls joined in the fun.